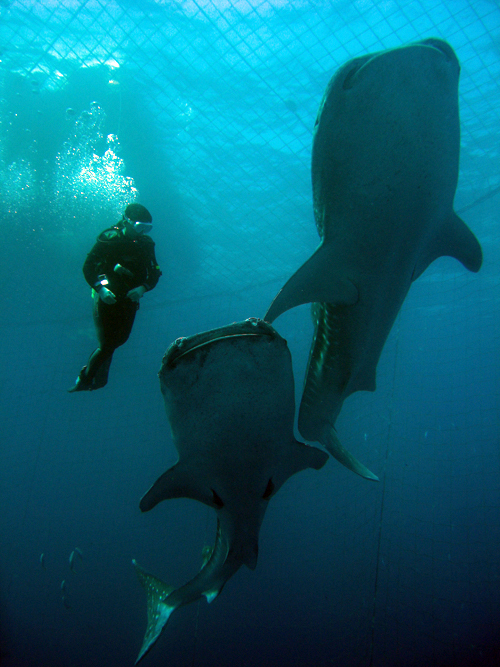 800 meters offshore from Chatan a semi captive wild whale shark is held inside a big net. With this activity, you will get to swim together with it! 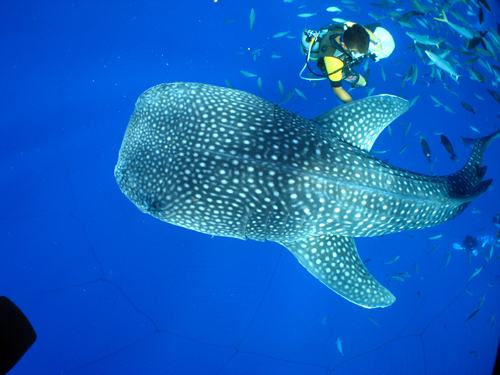 This whale shark (the biggest fish species on earth), is more than 4 meters long, but is a very gentle creature and does not show violence towards humans or other sea creatures, making it completely harmless. 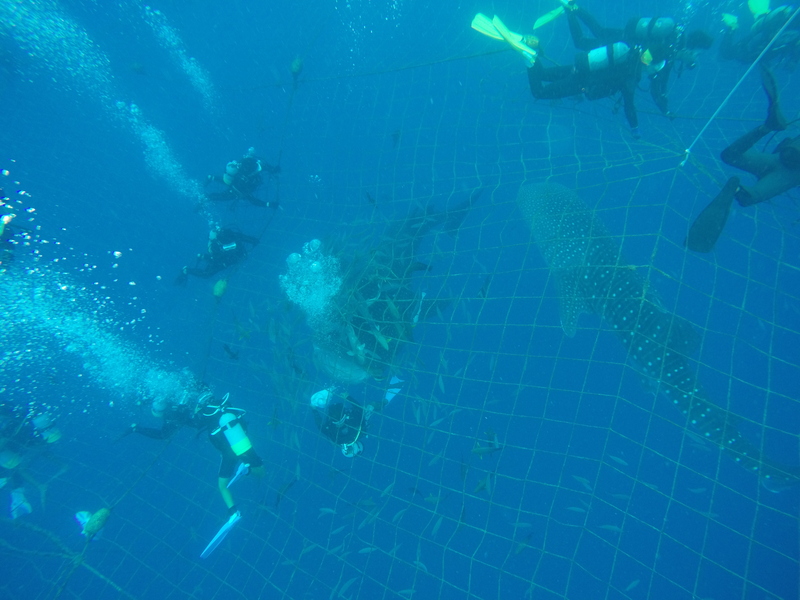 The【Snorkeling】activity will let you see the whale shark from outside the net, the【Scuba diving】will let you get closer to the net while the【whale shark fun diving】activity will let you swim with the whale shark inside the net!! 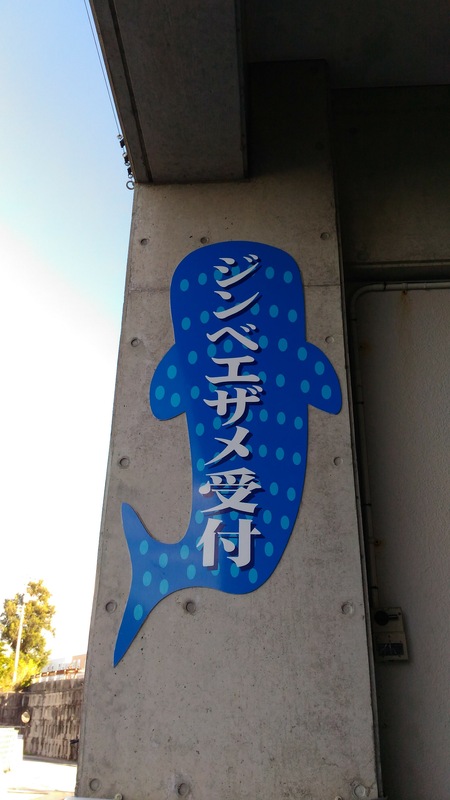 Pick-up service of whale shark snorkeling tour：The beach tower Okinawa・Tokyo Dai-ichi hotel OKINAWA GRAND MER RESORT・Laguna Garden Hotel・Moon Ocean Ginowan. For pick up details, please contact us. 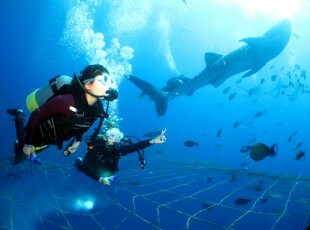 ※※　Fun Diving is must for those who have had at least 10 dive experiences and who have not longer than last six months . Please bring swimming and bath towel. 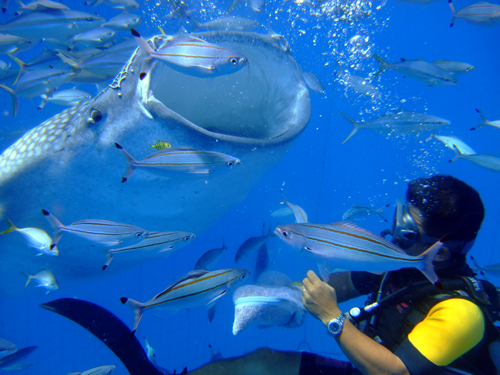 ※If you want to join the FUN diving 、you have to dived over than 10 tanks. How many tanks you had dive when you make a reservation please inform us. 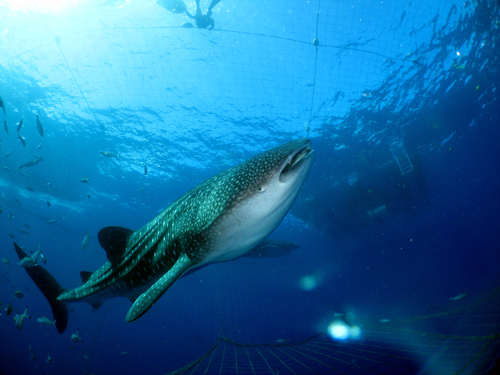 ・You need to have previously dived at least 10 times in order to participate in the diving inside the net with the whale shark experience. ・At the time of the reservation, please inform us of the number of times you had dived. ・Participating kids need to be accompanied by an adult. ・Minors (under 20 years old) need a signature from their legal guardian to participate. ・Activity might be cancelled on the same day due to weather conditions. In the event of a cancellation due to weather conditions, you can ask for a full refund or a date change. ・Please bear in mind that, due to health security reasons, any participant won't be able to flight on the same day after diving. ・Graduated water goggles are not included, please inform us at the time of the reservation if you need them. ・Diving equipment is not included, please inform us at the moment of the reservation if you need to rent it. 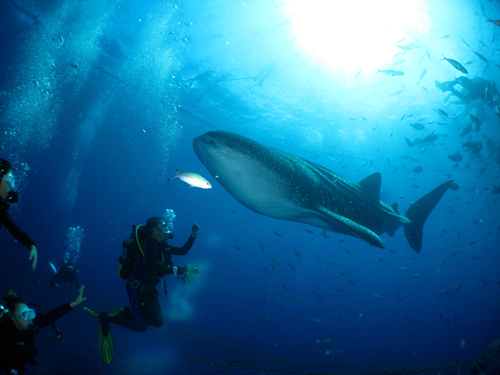 ・Diving tour participants must bring their diving license the tour day. 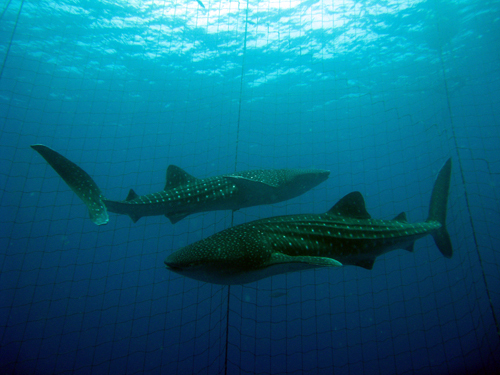 ・Video recording is not permitted inside the whale shark net. ・Please bring your own swimming suit and bath towel. ・Persons which the following conditions will not be able to participate in this activity： Circulatory system or respiratory system diseases, high blood pressure, otitis media, pregnancy, epilepsy, diabetes, liver failure, hangover or under the influence of alcohol. In addition, accordingly to your health condition on the day of the activity, you might not be able to join us. ・Non Japanese speakers are also welcomed. ・Before making the reservation, please read carefully the terms and conditions.